(CN) – Scientists have found a modified enzyme tested on rats could help smokers kick their dependence on nicotine. The enzyme breaks down nicotine in the bloodstream before it reaches the brain, which decreased the rats’ interest in the drug, according to findings published in the journal Science Advances. A Scripps Research team looked at how the engineered enzyme affects the addiction brain chemistry of rats. The enzyme, NicA2-J1, is a version of natural one, and was modified to maximize the amount of time it stays in the bloodstream. Recent studies have shown the enzyme reduces rodents’ nicotine in their blood levels. “This is a very exciting approach because it can reduce nicotine dependence without inducing cravings and other severe withdrawal symptoms,” said Olivier George, associate professor at Scripps. The team set up a chamber where lab rats could give themselves intravenous nicotine infusions and became dependent on it. After spending 21 hours a day for 12 days in the chamber, the scientists gave them access to nicotine every other day – and the rats suffered withdrawal symptoms. The rats given the highest dose of the enzyme still took the nicotine, but the level of the drug in their bloodstream was very low compared to the others. “What’s unique about this enzyme is that it removes enough nicotine to reduce the level of dependence, but leaves enough to keep the animals from going into severe withdrawal,” George said. Those rats with the enzyme showed reduced withdrawal symptoms like aggressive behavior and susceptibility to pain. “It’s as if they were smoking 20 cigarettes but receiving the nicotine dose of only one or two, so that made their withdrawal process much less severe,” said study author Marsida Kallupi, a research associate. In another set of experiments, the rats risked a 30 percent chance of an electric shock to their feet when they pressed the lever for nicotine. The rats treated with the enzyme reduced the amount of times they pressed the level, compared to those without the enzyme. 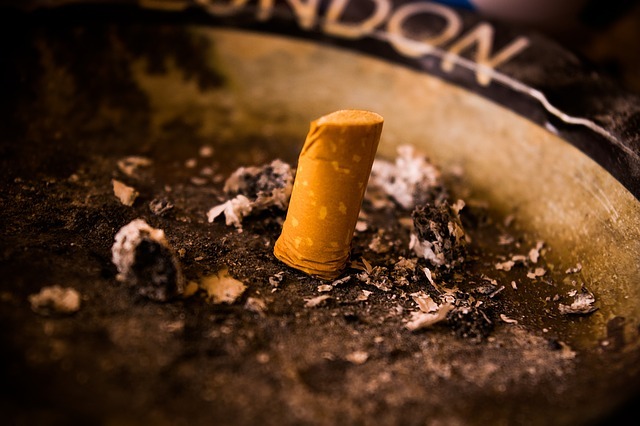 The team hopes to test the enzyme on humans and also against the drug Chantix, which is currently seen as the most effective way to help people quit smoking. Perhaps the most famous study of rats and addiction was “Rat Park,” where researchers from Simon Fraser University looked at how environment affected the rats’ dependence on morphine. Published in 1981, the study’s author Bruce Alexander concluded “addiction isn’t you – it’s the cage you live in.” It’s the lack of social connections, not the drugs themselves, that cause addictions, the team found. The study’s results have in recent years been cited by popular psychologists and those who advocate a more humane, rather than punitive approach to addiction. But many have criticized the overly simplistic conclusions of the study and its flawed methods.